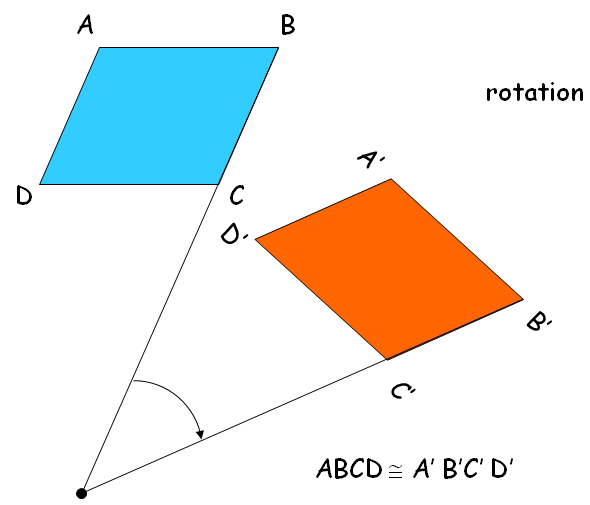 About the topic "Geometry transformations"
"Geometry transformations" is the stuff which is much required for the students who study geometry in both school level and college level math. To make the students to understand the stuff "Geometry transformations", we have explained each kind of transformation step by step explanation along with the corresponding figures. A very simple definition for transformations is, whenever a figure is moved from one location to another location, a Transformation occurs. If a figure is moved from one location another location, we say, it is transformation. Our next question is, how will the transformation be?. To know that, we have to be knowing the different types of transformations. Now, let us come to know the different types of transformations. 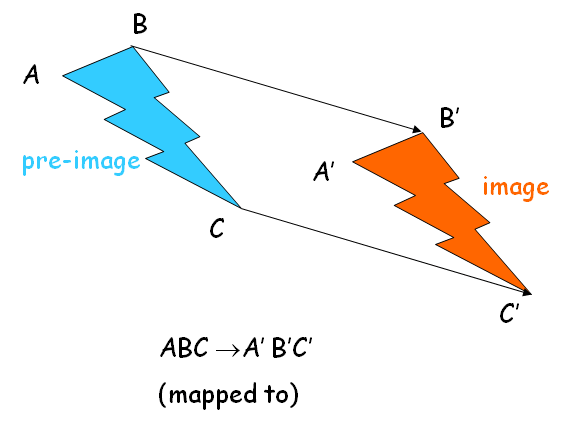 What is "Image" and "Pre-image"? When a transformation occurs, the original figure is known as the pre-image and the new figure is known as the image. It has been clearly shown in the below picture. A transformation where the pre-image and image are congruent is called a rigid transformation or an isometry. When a figure is moved from one location to another location, we say that it is a transformation. In this point, always students have a question. That is, if a figure is moved from one location to another location, we say, "it is transformation". How is this transformation made? More clearly, on what grounds is the transformation made? Is there any pre-decided rule to make transformation? Yes, there is a pre-decided rule to make each and every transformation. The rule we apply to make transformation is depending upon the kind of transformation we make. We have already seen that there are four main type of transformations.They are reflection, rotation, translation and dilation. For example, if we are going to make transformation using reflection, there is a pre-decided rule for that. According to the rule, we have to make transformation. The rule we apply to make transformation using reflection and the rule we apply to make transformation using rotation are not same. Hence, for each type of transformation, we may have to apply different rule.